Dusty straw color. Vegetal, toasty aromas and flavors of pickled pepper, roasted pineapple, spiced melon, and cilantro with a silky, bright, dry-yet-fruity light-to-medium body and a tingling, interesting, medium finish revealing suggestions of sweet cream, papaya, and pepper finish. A solid gold tequila for fruity agave and a creamy center. Bottom Line: A solid gold tequila for fruity agave and a creamy center. 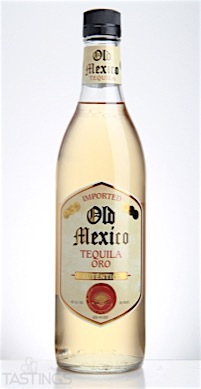 Gold tequila is unaged silver tequila that has been colored with caramel coloring. 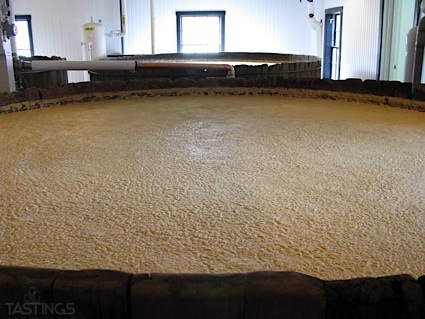 It is also known as mixto as it is made from a mixture from at least 51% blue agave and the rest from other sugars, usually cane-based. Old Mexico Oro Tequila rating was calculated by tastings.com to be 85 points out of 100 on 6/9/2016. Please note that MSRP may have changed since the date of our review.